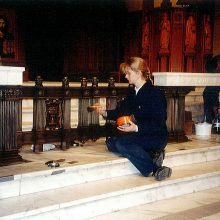 St. Cecilia’s Cathedral was constructed beginning in 1905. 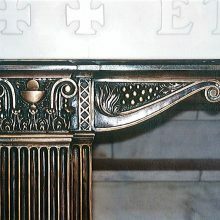 Unarguably the masterpiece of architect Thomas Rogers Kimball, the structure was not actually consecrated until 1959. 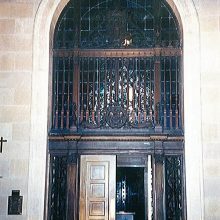 At the time of its construction, this Spanish Renaissance Revival structure was ranked among the ten largest cathedrals in the United States. 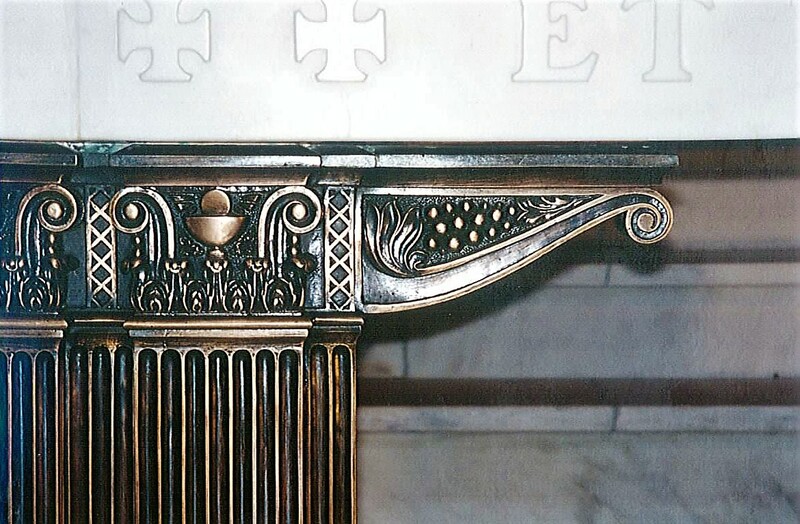 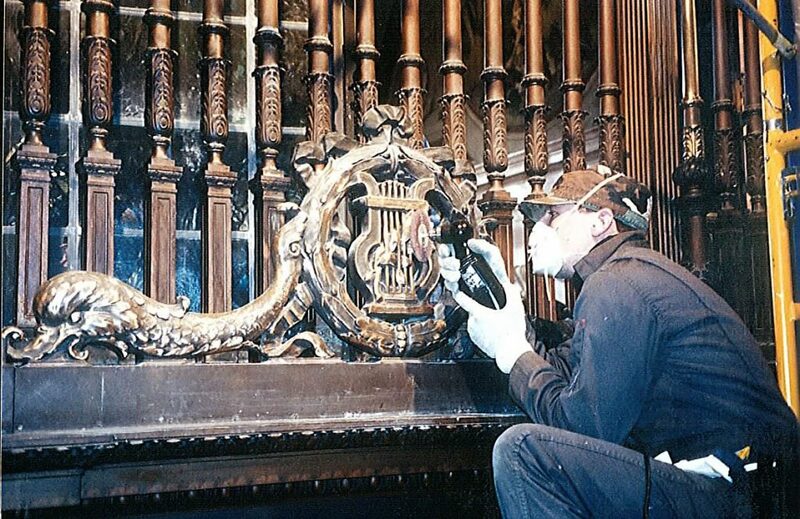 We were contracted in 2002 to conserve the decorative bronze entrance located at the north entrance aisle in the main sanctuary of the cathedral. 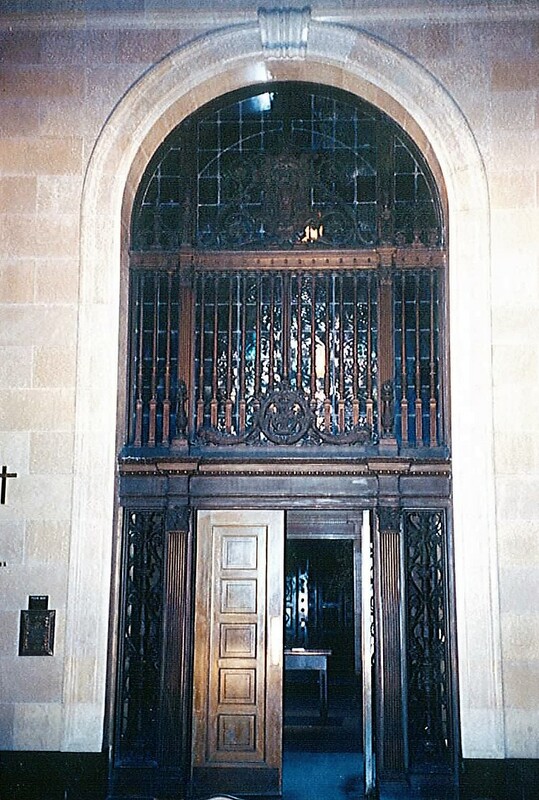 The approximately 17’ high x 8’ wide entrance consisted of a combination of cast, extruded, and spun bronze elements with two solid core wooden doors. 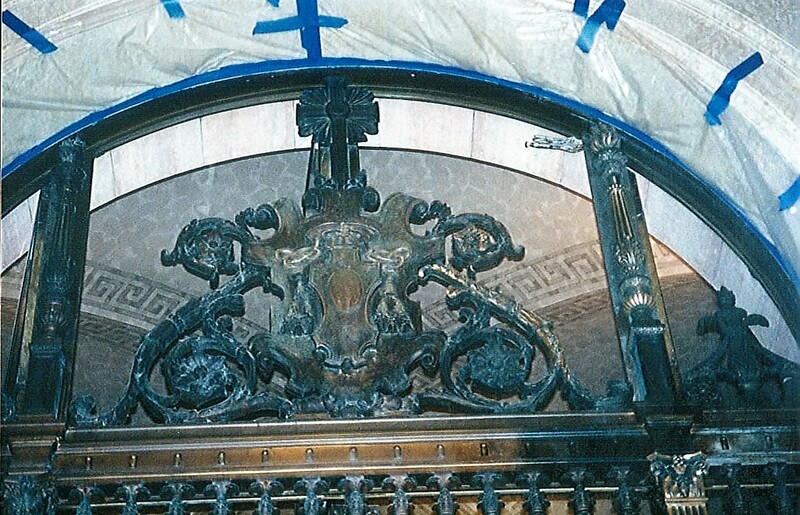 Decorative stained glass windows set in operable extruded bronze frames provide a backdrop for the metal work and to seal the vestibule off from the interior of the church. 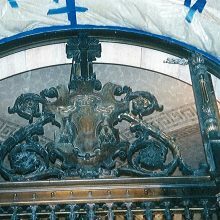 The metal portions of the entrance suffered from heavy deposits of floor wax, moderately heavy corrosion deposits, and a white residue possibly from the interior stone cleaning project. 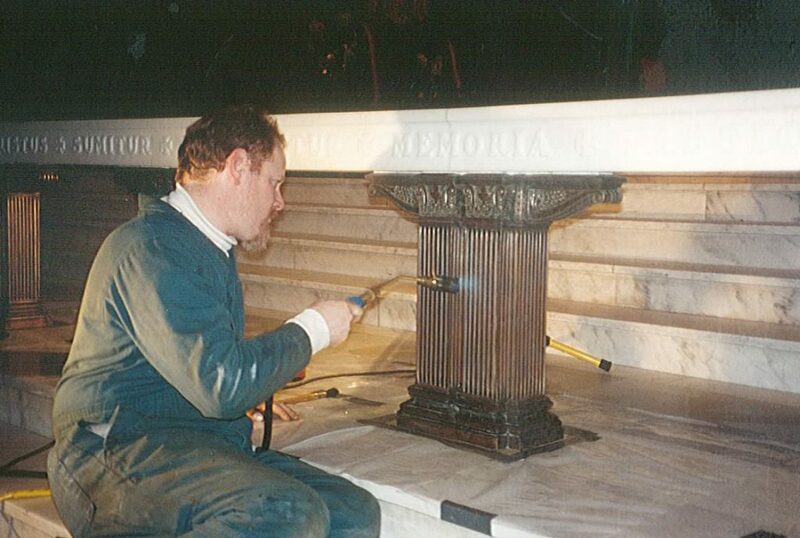 The heavy deposits of floor wax were removed from the bronze using a solvent stripper and plastic scrapers. 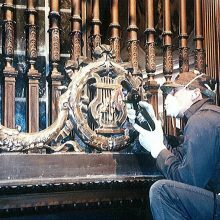 Loose corrosion products were cleaned using bronze wool, nylon abrasive pads, and soft bronze and plastic scrub brushes. 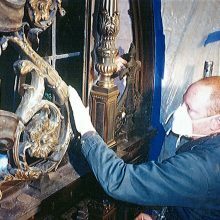 Areas of light green corrosion and bright metal were patinated brown using a cold patina solution to achieve the appropriate tone. 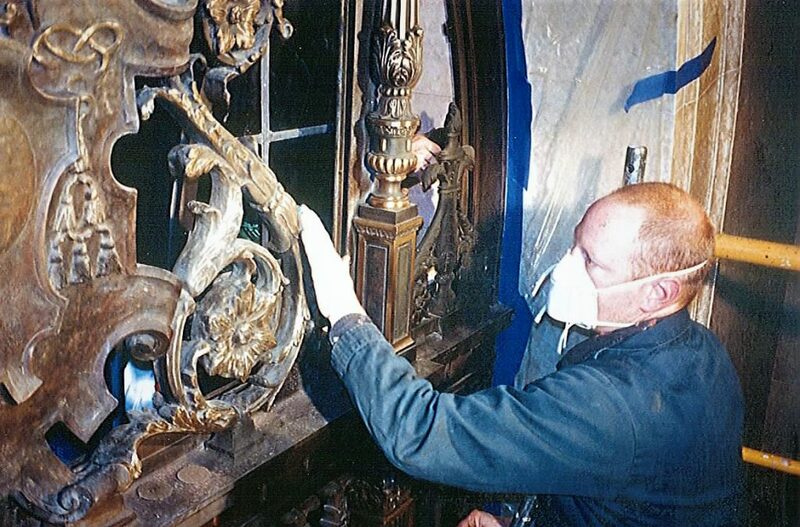 All surfaces received a thorough wipe down with toluene and cotton rags to insure that all cleaning compounds, soiling, and the white residue were completely removed. 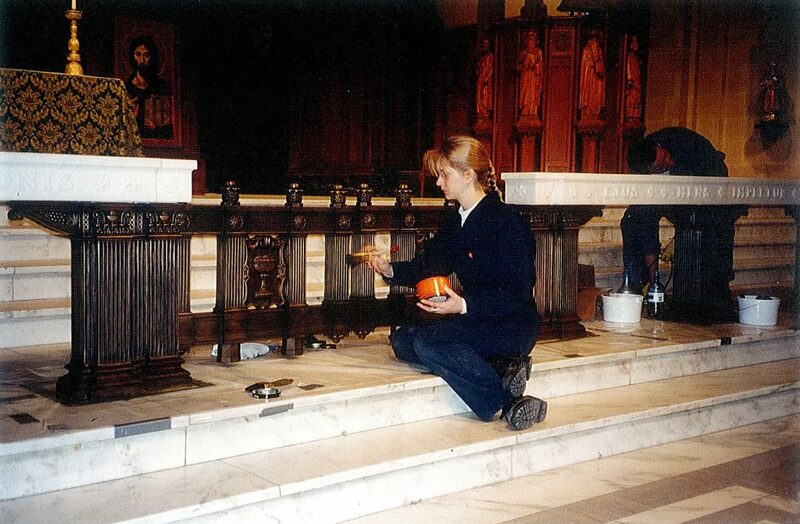 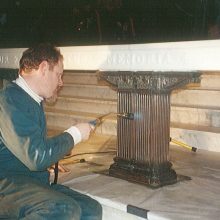 Once all the surfaces were properly cleaned all bronze elements were coated with a lacquer.